Two years ago Coco was surrendered to PRNE because his 91 year-old mother was no longer able to care for him. Coco was 10 at the time. While most dogs adjust fairly quickly in foster homes, Coco had a terribly difficult time. He was so depressed that he refused to come out from the bathroom, preferring to curl around the base of the toilet, as far away from anything as possible, and remain there indefinitely. Coco didn’t want to eat when he wasn’t allowed access to the bathroom, he would lie on the kitchen floor with his head as far under the cabinet as it could go. We moved him to another foster home where the foster mom was around all the time, thinking that would be similar to what he had in his former home. We had him evaluated by a holistic vet and supplemented him with vitamins and nutrients. Slowly he began to come around. 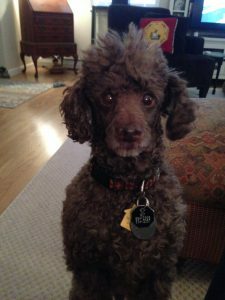 He had a physical and dental and we began to look for the perfect home for Coco Puff. We had several home visits but nothing seemed to pan out. Last summer, we noticed Coco started having some stomach issues. After several months of tests, diet changes, medications, and supplements, Coco went in for a colonoscopy. The test results just came back and Coco has epitheliotropic lymphoma of the colon, which means he has an infiltration of cancerous cells throughout the lining of his intestines. This cancer is far more common in cats. Since there is very little known about this form of cancer in dogs, and cats do respond well to a treatment of chlorambucil and prednisone, we are beginning the same treatment plan for Coco. We are also consulting with our holistic vet to see what she can offer to enhance Coco’s regimen. 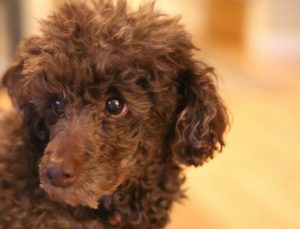 Coco Puff will need to be seen every two weeks for the first 6 weeks to make sure the drugs are not causing any side effects (the main one being bone marrow suppression). We are asking for some much needed Angels for Coco. When we take any dog in, we do so knowing that there’s a chance something may come up that makes it difficult to place a dog. As long as these dogs are in our care – we will provide for them. We rely on donations to help us do so. 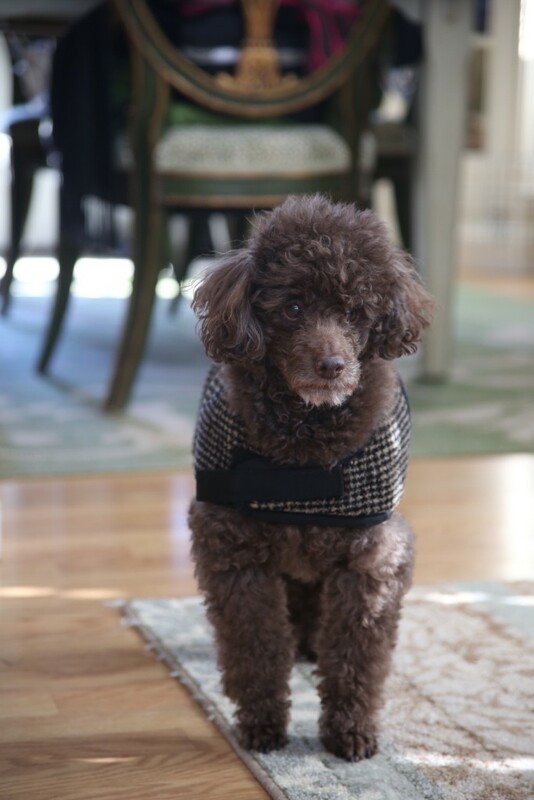 We will do anything humanely possible to ensure that Coco Puff has a good quality of life as long as that may be. Click on the “Be My Angel” button for more information on how you can be one of Coco Puff’s Angels and help us care for him! For Coco Puff ~ Love your pals in PA.
Amanda and Ave ~ We love you, Coco! Caryn Hirsch ~ For Coco! We hope he gets better soon! Janet Dawson ~ I read about Coco Puff’s plight on Facebook and nearly cried for the little guy. I hope his treatment is successful. Sheri Ramsey ~ This donation is towards Coco Puff’s treatment.